Now every child can have their very own pony, and get her ready for the big show! 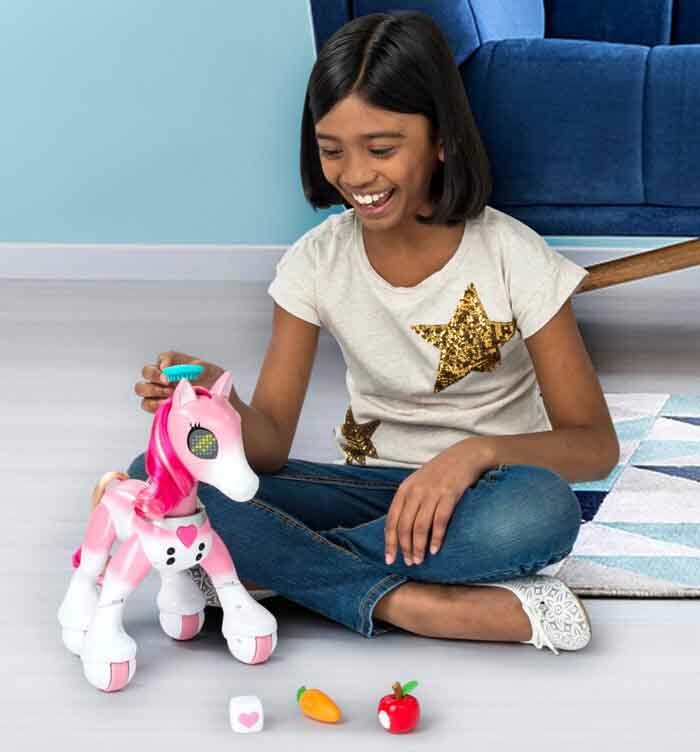 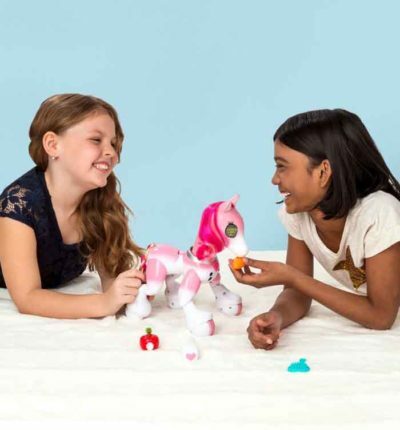 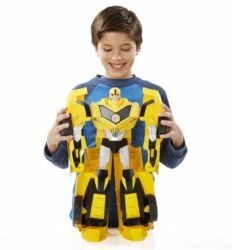 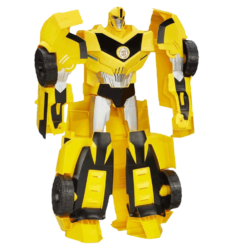 The new Zoomer Show Pony from Spin Master is a fashionable, interactive pony you can feed, groom, and train to perform different tricks. 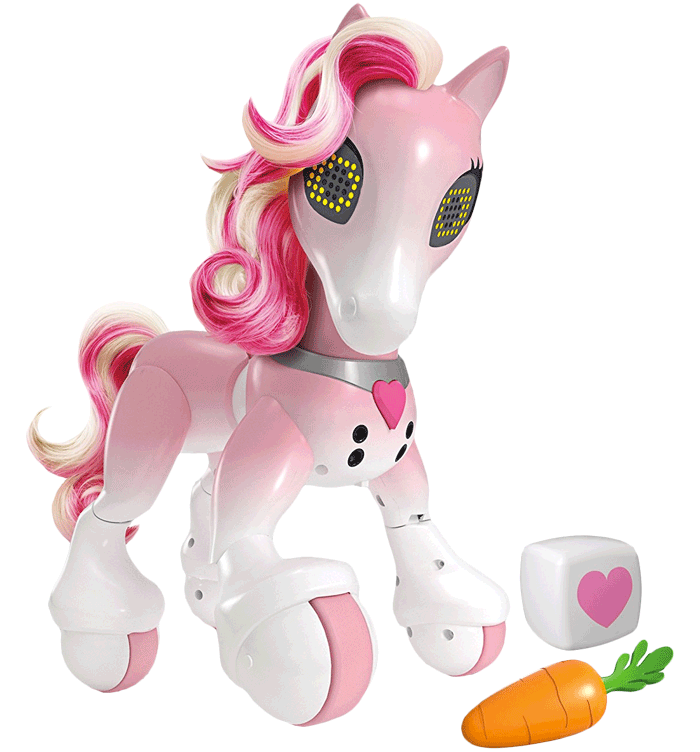 She moves on her own and has expressive light-up eyes that show you exactly how she feels. 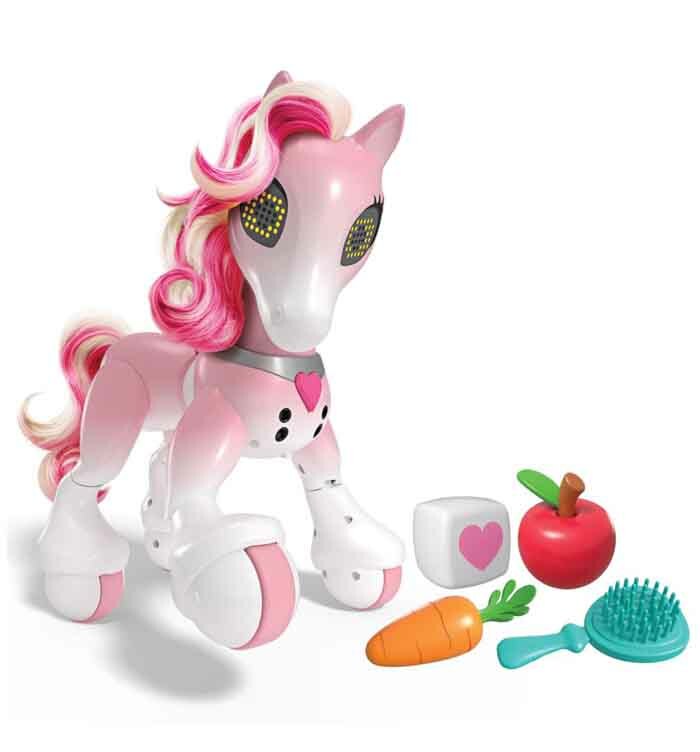 Zoomer Show Pony knows when you’re petting her cheeks and nose, and responds with loving pony sounds. 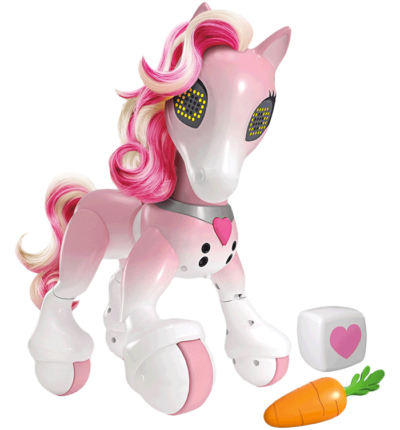 She’ll nuzzle into your hand, shake and move her head, and even neigh “I love you.” When you press the heart badge on her chest, she’ll perform tricks, including dancing, singing or doing a figure eight. 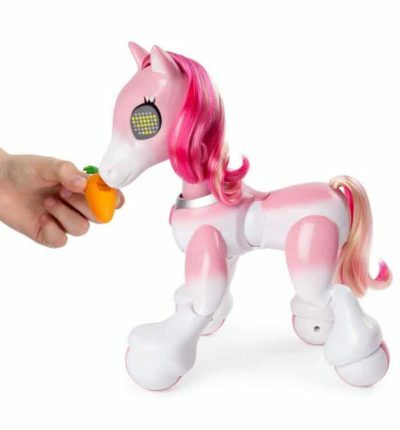 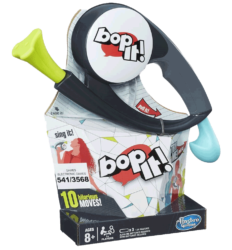 Zoomer Show Pony comes with four interactive accessories, including an apple, carrot and a sugar cube. 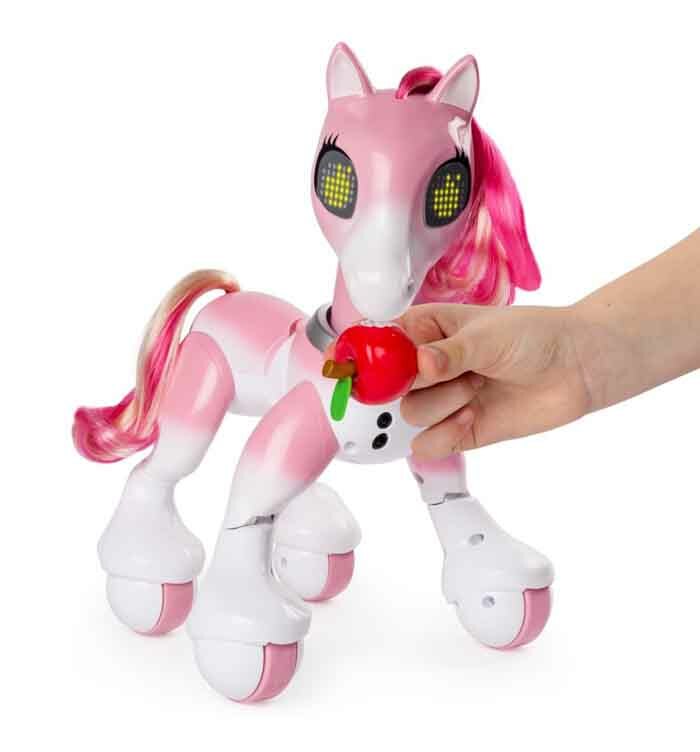 Try feeding your pony an interactive apple and she’ll crunch, chomp and munch happily! 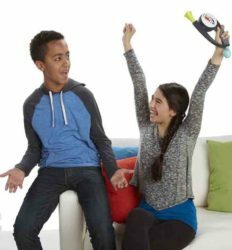 Use the hairbrush accessory to brush and style her, so she’s ready for the big show! For unbridled friendship, bring home your own Zoomer Show Pony!